G.I. Joe’s switch to the smaller scale is probably one of the most successful re-brandings ever. For most, those smaller figures simply are G.I. Joe. When the line was initially launched, there were 13 figures. They were all unique, but they were specifically designed to make the most of as little tooling as possible. Today’s subject, Sgt. Stalker, was among those 13, though he was just “Stalker” at the time. When it came time to celebrate the 30th Anniversary of the smaller line, Stalker was chosen as the representative of the Original 13, with a reimagining of his first figure, in a more modern aesthetic. Sgt. Stalker was released in the first series of G.I. Joe: 30th Anniversary figures. The actual anniversary year was 2012, but the 30th figures were rushed into the end of 2011, in order to make way for the G.I. 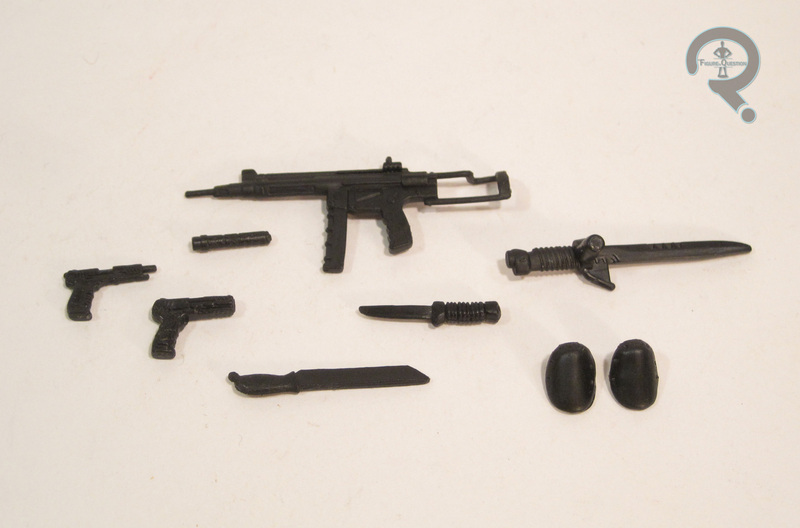 Joe: Retaliation toys. Of course, Retaliation was then pushed back to 2013, making the rushed release of the 30th figures completely pointless. Yay. The figure is a little over 3 ¾ inches tall and has 24 points of articulation. While the later series of the line would release a wide variety of newly sculpted parts, the first series got by on as much re-use as possible, and Stalker was not exempt. The head is re-used from the Resolute version of the character. My feelings on this are a bit mixed. While it’s not a bad head at all, it has the Resolute design’s dreadlocks. Those fit in fine with the more exaggerated Resolute designs, but they look just a bit out of place on the more realistic figure, especially one that’s supposed to be an update on his original figure. 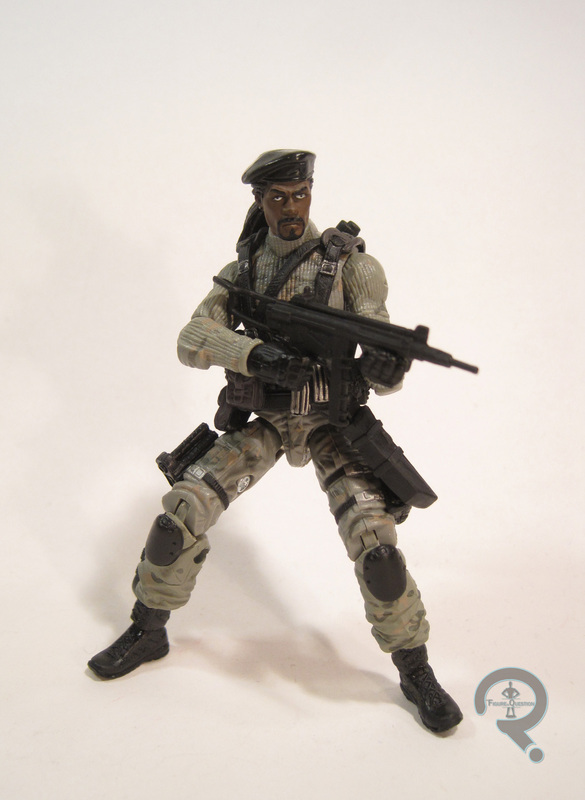 The rest of the figure is repurposed from one of the Pursuit of Cobra Snake Eyes figures. That figure was itself meant to be an update on Snake Eyes’ original figure, and given that the original Snake Eyes and Stalker figures used the same body sculpt, this actually makes a lot of sense. It helps that it’s a really nicely sculpted body, with some amazing small detail work, especially on the underlying turtleneck piece. The body is so attentive to detail that it even has removable knee-pads, which is a pretty awesome touch. 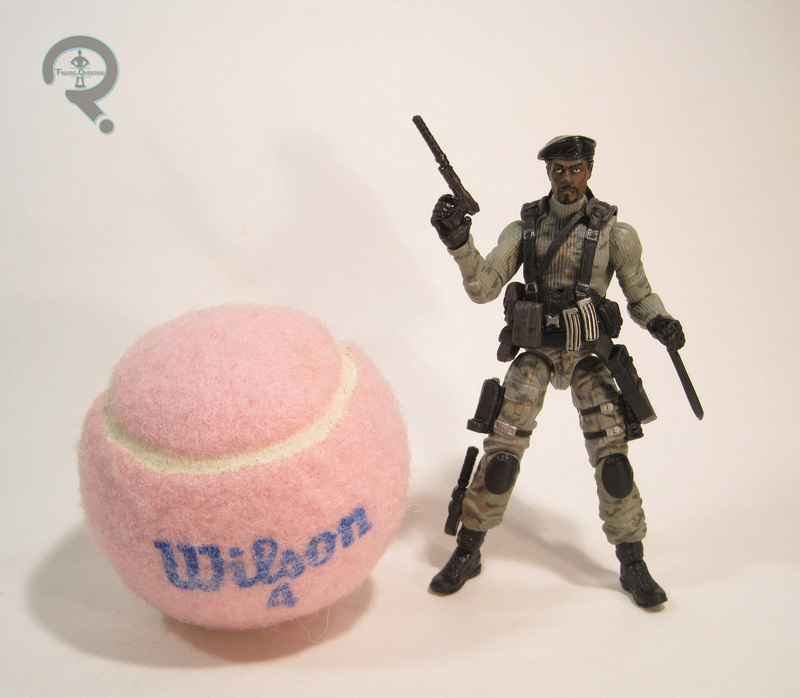 To differentiate him a bit from Snake Eyes, Stalker gets a different web gear piece, which was first seen on the Jungle Patrol Dutch Duke from PoC. Stalker’s paint is fairly decent, and is clearly meant to emulate his original design, but I can’t help but feel he’s a bit drab, especially when compared to some of the other 30th figures. Still, he doesn’t look bad at all. Perhaps the figure’s strongest suit is his accessory complement. He has a submachine gun, a pistol with a removable silencer, a pistol without silencer, a machete, a knife, a small sword, and a display stand with his name on it. By the time the 30th figures starting hitting, I had long since realized that finding the G.I. Joes I wanted in stores was not a thing that would be happening. So, I had resorted to ordering full sets of each series from Big Bad Toy Store. I hadn’t planned on getting Stalker at first, being content with the Resolute figure, but I wanted the rest of Series 1, so I got him anyway. I’m actually really glad I got him. Yes, I’d have liked for him to get a new head, but other than that (honestly minor) issue, he’s a pretty darn fun figure, who reminds me just why I loved this line so much.